It has been my good fortune to have been associated with the racehorse industry for more than 30 years. I have been a breeder, an academic, a research economist, and an industry consultant, and have analyzed the industry as it has gone through many changes. I would like to share some results of my research, particularly on racino gaming, in the hope that they may contribute to a better understanding of current issues. To understand the rise of racino gaming in the United States, consider that, adjusted for inflation, handle on horse racing as reported by the Association of Racing Commissioners International has fallen 52% from its 1977 peak through 2006. This has occurred even with the introduction of market-expanding measures such as simulcast wagering. Reasons for the decline have been analyzed and include the growth of casino and lottery gaming. Concern for the decline in handle and revenue for the pari-mutuel racing industry has prompted a number of states to permit casino gaming at racetracks (racinos). The number of states that permit racino gaming has grown from one in 1990, West Virginia, to 15 in 2010. To be eligible for racino gaming, a state must already have pari-mutuel wagering. Currently, 43 states are eligible. The initial premise behind permitting casino gaming at racetracks was to preserve and promote pari-mutuel racing recognizing the loss of purses and handle due to other forms of gaming. Racino legislation provided for a percent of slot machine revenue to be allocated to purses. Purses are the lifeblood of the racing industry, providing revenue to horse owners and breeders. For the wagering customer, purses measure racing quality. Since the introduction of slot machines at racetracks, sufficient time has passed to draw conclusions as to their impact on the racing industry. The effect of a large increase in purses can be illustrated using the Charles Town, W.Va., racino. From 1995 through 2005, average daily purses at Charles Town increased dramatically from $27,000 to $166,000 largely as a result of the contribution from slot machine revenue. My firm estimated the pari-mutuel side of the racino had, as of 2005, produced $173 million in spending and 3,700 full-time, year-round jobs in the Charles Town economy. The number of breeding farms had increased from 55 to 140 between 2000 and 2005 due to increased purses, preserving green space in the region. Statistical analysis of racino betting has shown that when slot machines are introduced at a racetrack, pari-mutuel wagering decreases 20% to 40%. On the other hand, betting on export simulcasts increases as purses funded largely by slot machine revenue are increased. Statistical analysis has also shown that betting on slot machines increases significantly in the presence of live or import simulcast horse racing. In fact, slot machine betting may increase enough to pay for purses at the racetrack. Still, pari-mutuel revenue from all sources generally accounts for only a small percent of total racino revenue. A current racino trend is table games at racinos. Table games were first permitted at Iowa racinos in 2004, followed by West Virginia, Delaware, and Pennsylvania. Statistical analysis shows that slot machine wagering decreases on the order of 8% to 13% with table games while total (slot plus table) revenue may increase. If the respective shares of slot machine revenue to government, the racetrack, and purses from table games are no different than those from slot machines, then each stakeholder’s revenue will change by the same percentage as total revenue. This is the case for the Iowa racinos and all state-regulated casinos in the U.S. Adding table games to a slot machine racino only becomes an issue when the revenue shares to stakeholders from table games and slot machines differ. In the extreme, take Pennsylvania, where the original 12% share to purses from racino and casino slot machine revenue was set to 0% for newly permitted table games. If slot machine revenue decreases with the introduction of table games, as expected, revenue to purses will decrease with no offsetting increase from table game revenue. The difference accrues to the racetrack operator. Different stakeholder shares of slot and table game revenues may create “winners and losers” when table games are added. 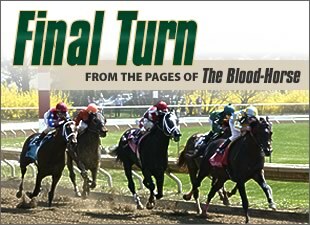 In the long-run, both racing industry entities and racino operators must find ways to increase pari-mutuel wagering in order for racing to survive. Potential growth areas such as Internet wagering venues hold promise for racing’s future, depending on the share of revenue going back to the industry. Also, because live racing benefits the racehorse industry and also increases racino gaming revenues, attracting more customers to the racino using live racing as a marketing tool has multiple benefits. Richard Thalheimer, Ph.D. is an economist and president of Thalheimer Research Associates in Lexington.